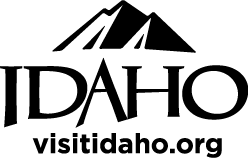 Historical Idaho Women Stories & Folksongs / Monday, April 15 at 6:00 p.m.
Music lovers are invited to each of the seven Branches of the Latah County Library District for Historical Idaho Women Stories and Folksongs with folksinger, songwriter, and storyteller Tracy Morrison. The first in a series of performances will take place at Potlatch Public Library on Monday, April 15 from 6:00-7:00 p.m.
Morrison will encore her program, Historical Idaho Women Stories and Folksongs, from 6:00-7:00 p.m. at the following library branches: Tuesday, April 16 at Bovill Community Library; Wednesday, April 17 at Genesee Community Library; Thursday, April 18 at Deary Community Library; Tuesday, April 30 at Moscow Public Library; Wednesday, May 1 at Troy Community Library; and Thursday, May 2 at Juliaetta Community Library. Morrison has studied American Folk music for more than 30 years and performed at festivals, museums, libraries, and theatres around the country. While her songwriting and storytelling explores culture, history and life experience, her musical style draws from American Root genres. The performance will present brief introduction stories followed by original songs recognizing historical Idaho women, including Sacajawea, Polly Bemis, and Pegleg Annie, among others. This free and fascinating library program is open to the public. For additional performance dates at other branches of the Latah County Library District or for more information about this event, please visit the event section of our Facebook page, facebook.com/latahlibrary/, or contact Amy Thomas, Latah County Library District Adult Services Manager at (208) 882-3925, ext. 115.